Charlie Meadows, president of the Oklahoma Conservative Political Action Committee (OCPAC), as is his tradition, emailed out his "picks" for the general election. As the head of one of the most influential conservative activist groups in Oklahoma, Meadows' opinion on races is sought after by many grassroots Republicans. GOVERNOR - MARY FALLIN - Governor Fallin is not very conservative and as such has provided very weak conservative leadership. No citizen has had a tax cut take effect in the 4 years she has been in office. However, she has signed two bills that have increased taxes. This year she threw a temper tantrum and vetoed over 10 important pieces of legislation including several 2nd Amendment bills. With all that said, she would still be slightly better than Joe Dorman. If the latest poll shows her to be less than 55% I will vote for her, if the poll shows greater than 55% I will leave the governor part of my ballot blank and she will have to win without my vote. LT. GOVERNOR - TODD LAMB - Todd is far more conservative than Governor Fallin. He covers the state talking with businessmen and workers alike, searching for any needed policy changes to make Oklahoma a more friendly state for successes. He is the best Lt. Governor we have ever had. His opponent is a liberal progressive that has pulled a number of stunts, such as living on a welfare check for a month to try and appeal to voters. She and her husband are actually successful restaurateurs. SUPERINTENDENT OF PUBLIC INSTRUCTION - YOUR CHOICE - Most of the campaign has centered on who is, or who is not, qualified for the position or how much Mr. Cox makes. When it comes to their policies, there is very little difference. I actually give a slight edge to Cox on my agreement with policies. Unfortunately they are both dead set against vouchers, which are the only thing that might possibly improve the government schools. His campaign treasurer is from out of state and a proud activist homosexual. If the campaign is the only service provided, then that will not be so bad. However, should he join the staff if Cox wins, then that may be a real problem. 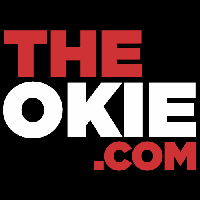 LABOR COMMISSIONER - MARK COSTELLO - Vote for the only fellow in this campaign that has a drivers license, that would be Mark. His opponent is a former teacher (God help those students) and a recent “Occupy Wall Street/Occupy Tulsa” organizer. I believe he is big time nutty. On the other hand Mark Costello is without question the finest Labor Commissioner we have ever had in the State of Oklahoma. U.S. SENATOR - JIM INHOFE - While Jim is one of the best Senators in Washington, he could be better. He has a tendency to be a big spender. He considered not running again, but decided we needed him for at least one more term. The last couple of times I have seen him speak in person, he has a hard time staying on track and seems to lean more and more on his staff for information. He is invaluable on the “global warming / climate change” scam, but I do hope this will be his last term in office as he will be 86 at the end of this term. We have plenty of strong and younger conservatives that could step up and represent Oklahoma well by that time. U.S. SENATOR (unexpired term) - JAMES LANKFORD - It is no secret that I endorsed Randy Brogdon in the primary, but we are now to the general election and this is a no brainier. Now that James will no longer be in the House and as close to the negative influence of Tom Cole, hopefully he will govern more like some of the non-establishment Republicans in the Senate. James is very hard working, has a great memory, is a quick study and is the finest communicator in Oklahoma. Connie Johnson is currently the most liberal Senator in the legislature with a lifetime conservative score of a 12. Before being elected she was an ultra liberal staffer back in the days when Gene Stipe and company ruled Oklahoma where she learned well the ideology of liberalism. This is the second election cycle in which the State Chamber of Commerce has used their new program called the Oklahoma Civil Justice Council to try and effect the outcomes in 2 of our judicial courts of appeals (they don’t rate the criminal court of appeals). This is an integral part in what I believe is the State Chamber’s drive for total control over the State of Oklahoma. This election cycle and in conjunction with the Oklahoma Prosperity Project, another project of the State Chamber, they have mailed out their judicial ratings published on a very slick looking bi-fold. Only they know how far reaching their mail out happens to go. They don’t tell anyone how to vote on the judges, but a low score next to a judge’s name indicates a bad judge. I don’t necessarily disagree with their suggestions in this election cycle, where if followed, the voters would VOTE NO on all but one judge (Brian Goree - court of civil appeals). I only differ on that one judge as I believe it is vital we strike significant fear into these judges on our appeals courts as I would suggest that in too many cases, they have become a law unto themselves. The Chamber with their unlimited money may eventually reshape how we treat our judges, but this can become very dangerous. The governing board of this Judicial Council has some very powerful people on it that represent some of the very large Oklahoma businesses that have to go before 2 of these 3 appeals courts. The potential for a conflict of interest here is very high. The first area will be for the Oklahoma Supreme Court Justices. All 3 of these Supreme Court Justices are liberal activists judges that have no fear of the retention ballot as we have never said NO to one of them over the past 50 years or so since we switched to a retention ballot system. As an example, the latest abortion ruling by the U.S. Supreme Court allows the states to put some regulations on abortion providers. So far, every time the legislature passes a law to regulate abortion providers, the pro-abortion crowd files a suit and by the time it reaches our “supremes” they strike our laws down citing Roe v Wade. These 3 are all guilty of such actions. The second area is the Court of Criminal Appeals of which there is only 1 Judge on the ballot. District 3) will be Gary Lumpkin - VOTE - YES - My sources have in the past and continue to tell me Judge Lumpkin is an excellent jurist with a very good judicial temperament. The third area is the Court of Civil Appeals which is probably the most difficult to evaluate. On the back side of your ballots will be 3 State Questions. I recommend VOTING - YES - ON ALL 3 measures. None are very significant, mostly small adjustments in nature and they all deal with veteran benefits. I will say this, I believe it is very important to live up every promise we make to a military recruit when they enlist and then go on to become a veteran. I also believe we should be very careful about adding additional benefits for veterans, especially if new benefits put at risk our ability to meet the already promised benefits. Next on the ballot will be the place for the State Senate or State House candidates. Many of these races have already been decided so you may or may not have one of these candidates on your personal ballot. While in almost every case the Republican will be a better lawmaker than the Democrat, we do not need a larger number of liberal Republicans in the legislature as that makes it more difficult for the conservatives to move good legislation toward becoming law. Therefore, if I know nothing about a Republican candidate I will call it your choice. They were all invited to one of our meetings and would have received a contribution if they turned out to be conservative and a viable candidate. Several didn’t come and in some cases I just didn’t have the time to meet them in another venue. SENATE DIST # 4 - MARK ALLEN - East central Oklahoma - Spiro, Heavener, Poteau etc. - Senator Allen is the first Republican elected to this seat. He is in a tough re-election race and this one could be close. Senator Allen’s lifetime conservative index score is a 72. However, he had his best score this year with a 90, which is really good for a lawmaker from his district. 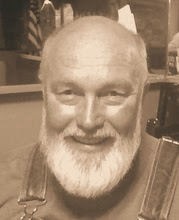 SENATE DIST # 5 - JOSEPH SILK - Southeast corner of the state - Broken Bow, Idabel, Hugo etc. This race is expected to be close. If Joseph wins this race he will be the first Republican to ever hold this seat. Congressman Lankford endorsed Joseph and that could be huge with the many conservative Baptist Democrats that think well of James. When Joseph appeared before OCPAC this year, he turned out to be one of the finest candidates to appear before us. He is a well developed conservative ideologue. If elected I am confident he will be an outstanding conservative Senator. 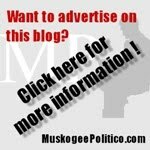 SENATE DIST # 6 - JOSH BRECHEEN - South central Oklahoma - Durant, Coalgate, Madill, etc. Josh is the first Republican to be elected from this district. His 79 lifetime conservative score makes him the 5th most conservative member of the Senate. The State Chamber is mad at Josh and is supporting his Democrat opponent as Josh led the way in the Senate to repeal Common Core. It is rather humorous that Josh supported the Chamber’s efforts for “Tort Reform” while their liberal Democrat candidate wants to undo such legislation. SENATE DIST # 8 - YOUR CHOICE - I just don’t know anything about the Republican. SENATE DIST # 14 - FRANK SIMPSON - Ardmore, Sulpher, etc - Senator Simpson’s lifetime conservative score is a 69. While that is not great, it is above a 63 which is the line for our acceptability. SENATE DIST # 18 - KIM DAVID - Wagoner, Coweta, etc. - Senator David’s lifetime conservative score is a 66, just barely acceptable. SENATE DIST # 26 - YOUR CHOICE - Kingfisher to Elk City - Mr. Jech didn’t come for our interview and it really disappoints me. This is the first election cycle for this district since re-districting. It should be a Republican seat, except it has been held by Senator Ivester, a very popular Democrat from the Elk City area. This will be a difficult race for Mr. Jech as Ivester is on the ballot for District Attorney and will cause a heavy turn-out in a part of the district in which Mr. Jech will be weak. SENATE DIST # 28 - JASON SMALLEY - Lincoln County, northern Seminole and a little of Pott county - Representative Smalley is probably more conservative than his two year average of a 78 on the conservative index shows. He will be a far more conservative Senator then Harry Coates who is termed out. I believe Jason will help the conservatives in the Senate. SENATE DIST # 40 - YOUR CHOICE - Nichols Hills down to 23rd and Classen area out to the edge of Bethany - I believe Dr. Yen is very shallow, not really a conservative and likely to score in the 50s on the conservative index if elected. If elected and I turn out to be wrong, it will be my pleasure to humble myself and go apologize to Dr. Yen. SENATE DIST # 42 - JACK FRY - Midwest City and East to Choctaw - Mr. Fry is the mayor of MWC and as such was a huge surprise for our members during the interview process. He interviewed even more conservative than Randy Brogdon when Randy first came to OCPAC, and was at that time was the mayor of Owasso. This is expected to be a close race and with an independent in the race, who know how that will effect the outcome? SENATE DIST # 44 - RALPH SHORTEY - South central OKC and some distance west. Ralph has not turned out to be the conservative we had hoped for as his 4 year lifetime conservative index score is a 67, which is barely acceptable. However, when is comes to his well financed Democrat challenger Michael Brooks-Jimenez, a big time immigration lawyer with offices in OKC and Tulsa, there is night and day difference between them. I have actually debated Mr. Jimenez at OU several years ago about illegal immigration and what the state’s options are to deal with such since the feds refuse to do so adequately. Ralph was the first Republican to be elected to this Democrat district. Many non Hispanic Democrats voted for Ralph, a Sioux Indian, as they were sick and tired of the Hispanic gang-bangers taking over the parks with their boom boxes and urinating in public. The problem Ralph is facing are the number of Hispanic “anchor babies” reaching 18, that have been radicalized by the Hispanic media and liberal activists in that community. These young Hispanics are now motivated to vote the Republicans out. This is expected to be very close and Ralph could lose this seat which would be a shame. SENATE DIST # 48 - DUANE CRUMBACHER - Northeast OKC - Duane interviewed very well and would make a great senator. If I lived in the district I would vote for him in a heart beat. Unfortunately, he lives in a district that is impossible for a Republican to win. If he gets more than 30% of the vote, it will shock me. HD # 1 - YOUR CHOICE - Idabel, Broken Bow, etc. The Republican candidate didn’t appear before OCPAC and I know nothing about him. HD # 6 - YOUR CHOICE - Vinita, Miami, etc. - Mr. McGuire sent his survey in but did not appear for our interview process. Some of the answers on his survey were very good and some were not. I don’t believe he would have received OCPAC’s support if he had appeared. HD # 10 - YOUR CHOICE - Bartlesville area - The conservative Republican lost in the primary, I don’t know anything about this candidate. HD # 12 - DAVID TACKETT - Parts of Waggoner county, parts of Broken Arrow and Coweta - David is hated by the State Chamber for his opposition to tort reform and worker comp reform. Two years ago Governor Fallin allowed her picture to be used on a campaign piece for the Democrat and even then David lost in a fairly close race. On the one hand, it may be more difficult for him to win this time as I was surprised to find while speaking in Coweta recently that some of the Republicans won’t vote for him because of his support for the National Popular Vote. Yet, I believe it was Senator Coburn and Senator Inhofe and perhaps even Congressman Bridenstine that have endorsed David. Our members supported him, though it was a close vote as we knew ahead of time about his NPV support. If David were running for Governor, I would never support him, but if he wins he will only be 1 of 101 in the House. I am willing to endorse him, even though I disagree with David on these 3 important issues, to have him in the legislature to battle the corporate welfare programs and be a thorn in the side of the State Chamber. HD # 14 - GEORGE FAUGHT - Muskogee area - George sent in his survey but was unable to attend one of our meetings. George was the first Republican to serve in this seat and did so for 8 years before running for congress in 2012. The seat is open again and if George is re-elected, he will have 4 years to serve before term limits will remove him. He is a great fellow and his lifetime score of a 76 was certainly acceptable. He should help the conservatives far more than the moderate or liberal Republicans in the House. HD # 16 - YOUR CHOICE - Morris and surrounding area - The Republican did not send in his survey nor show up for our interview process. HD #17 - YOUR CHOICE - McAllister area - The Republican did not send in his survey and did not show up, therefore I know nothing about him. HD # 20 - BOBBY CLEVELAND - Purcell, Slaughtersville, Blanchard and parts of Pauls Valley - Mr. Cleveland has turned out to be one of the more conservative freshmen from the 2012 class. His lifetime conservative index score is a 95. Besides being conservative, Bobby is an effective lawmaker and I strongly endorse his re-election. HD # 26 - JUSTIN FREELAND WOOD - Shawnee area - Justin is another conservative from the 2012 class with his first two year average on the conservative index score of an 82. He has a fairly strong Democrat challenger, but so far Justin has proven to be a formidable political candidate over the past 2 years. HD # 28 - TOM NEWELL - Northern Seminole county, parts of Pott county and over to McCloud in Oklahoma county - Tom is a solid conservative and a serious Christian. After 4 years in the legislature Tom has a lifetime conservative index score of an 89. He is one of the best Republican lawmakers in the House. As a free market economics professor who used the book, THE LAW by Frederick Bastiat in his course studies, he may be one of the best lawmakers at the Capitol as far as understanding the dynamics of reducing taxes to stimulate the economy. HD # 29 - YOUR CHOICE - Bristow area - Mr. Leewright did not send in his survey and didn’t appear at our meeting. I don’t know if he is a conservative or not, but the young lady he defeated in the primary run-off was a very liberal Republican and totally un-teachable. The citizens of this district should be glad Mr. Leewright’s primary opponent did not win. HD # 32 - YOUR CHOICE - Lincoln County and Southeast Logan County - Mr. Wallace won a crowded primary, but didn’t send in his survey or come for our interview. He may be a conservative, I just don’t know. I am concerned by the 3rd party big dollars behind him. HD # 35 - DENNIS CASEY - Morrison, and perhaps Pawnee and Perry? - Dennis has an acceptable lifetime conservative score of a 76. He is a very thoughtful lawmaker and willing to listen to both sides of a matter before he casts his votes. HD # 36 - SEAN ROBERTS - Hominy, & possibly Skiatook and Pawhuska - After 4 years in the legislature Sean has a lifetime conservative score of a 76 and therefore deserves re-election. HD # 40 - YOUR CHOICE - ENID - I have had very brief communications with Mr. Caldwell, but it has not enabled me to know about his positions on issues or whether or not he is a conservative. HD # 43 - JOHN PAUL JORDAN - Yukon area - John Paul was one of the more conservative candidates we had come before us this year. He came in first in a crowded primary and then really defeated his primary run-off opponent. John Paul is one of those really good conservative attorneys who has already defended Christians on civil rights issues as well as joined the state’s side as they fought off an attempt to strike down the law which repealed common core. He attends church where Representative Dan Fisher is the senior pastor. They should compliment each other in the legislature. HD # 45 - AARON STILES - Norman area - Aaron’s lifetime conservative score is a 66 which is barely acceptable. Primarily because he missed several key votes during this year’s session, his score this year is less than acceptable. This is a very difficult district for a Republican or Democrat to hold on to as it keeps flopping back and forth every couple election cycles. Often times this seat is won by a hundred or less votes. Day in and day out this is the most hotly contested seat in the state. This is one the Republicans could lose? HD # 46 - YOUR CHOICE - Norman area - Representative Martin’s lifetime conservative score is a 66 which is barely acceptable. However, I am not going to endorse him. He is currently the Chairman of the powerful Budget Committee. As such he was a major player in several “shell game” shenanigans this past legislative session which could really be harmful to the conservative movement, especially if there is not significant revenue growth for next year‘s session. HD # 49 - TOMMY HARDIN - Madill area - Tommy got off to a rough start in his first year. However he is doing much better now as his lifetime conservative score is a 74. 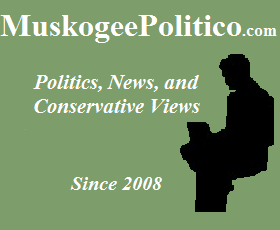 HD # 56 - YOUR CHOICE - Minco, Pocasset, Chickasha - This was an open seat 2 years ago when Republican Utsler lost a very close race to Democrat David Perryman. Representative Perryman is a loquacious progressive and very annoying. I know nothing about Mr. Utsler who is trying it again. HD # 62 - YOUR CHOICE - Lawton area - The Republican candidate appeared before us and turned out not to be very conservative. This is T.W. Shannon’s old seat. It was bad enough losing the most conservative Speaker we have ever had when T.W. ran for the U.S. Senate, and now he is going to be replaced by someone much less conservative than T.W. HD # 63 - YOUR CHOICE - Lawton and west a little - Don Armes was one of the more liberal Republican lawmakers and I am therefore glad to see him term out. The Republican running to replace him is Jeff Coody, the son of Ann Coody a liberal Republican who heads up the House Education committee. Some sources have suggested Jeff will be more conservative than his mom. I don’t know, but it would be hard not to be more conservative than Don Armes who is termed out with a lifetime rating of a 56. HD # 65 - SCOOTER PARK - Rush Springs, Marlow, etc. - Mr. Park interviewed well while at OCPAC. His ideology is not fully developed as yet, but he is a very hard working man of integrity with the correct conservative values and instincts. I believe he will do the right thing rather than be bought off by the special interest groups. This is Joe Dorman’s term limited seat and is expected to be a very close race. If Scooter wins he will be the first Republican to ever hold this seat. HD # 76 - DAVID BRUMBAUGH - Broken Arrow area - David has a lifetime conservative score of a 90. He is one of the finest lawmakers at the Capitol and is also a stellar individual. He certainly deserves re-election. HD # 83 - RANDY McDaniel - North central OKC to the Western edges of Edmond - Randy’s lifetime conservative score is a 75 which means he deserves re-election. However, that is only half the story. Most lawmakers have a specialty and Randy is no exception. He has taken on the very difficult task of trying to bring some solvency to Oklahoma’s 7 state retire plans. Randy’s efforts have improved them a great deal without the need for a tax increase. HD # 85 - DAVID DANK - North central OKC - David, with his lifetime average of a 69, is not nearly as conservative as his late wife Odelia. However, he has done major lifting toward exposing problems with the corporate welfare subsidies and tax kick back schemes. He deserves re-election so he can keep on exposing what is about a half billion a year in subsidy and kickback schemes. 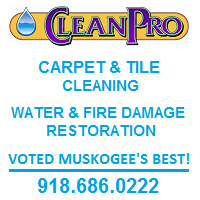 HD # 86 - YOUR CHOICE - Tahlequah area - I met Mrs. Teaney in February and heard her speak. She had few conservative credentials, but eagerly took some educational materials to help her develop a more conservative understanding. However, she did not send in our survey or attend our meeting. HD # 87 - JASON NELSON - Around 39th to 50th and North Portland in OKC would be the center of Jason’s district. His conservative index score of a 70 is acceptable. However, there are many other interesting dynamics in this seat. Though this seat has been in Republican hands for at least the past couple of decades, it has become a very hotly contested seat over the past several election cycles and this one is no different. Jason’s Democrat opponent is the husband of the associate pastor of Mayflower Congregational church in OKC, which has been one of the most liberal churches in OKC for a long time. This female associate pastor and the wife of the Democrat has performed most of the lesbian and homosexual marriages in the OKC area. Even more difficult for Jason is the fact that his 9 year old daughter was diagnosed 2 weeks ago with a very serious life threatening problem. That has largely pulled Jason out the campaign as he and his wife are focused on trying to determine the best treatment path for his daughter. He would really appreciate your prayers. In the meantime a good group of volunteers have stepped in to try and take up some of the slack. HD # 91 - YOUR CHOICE - Far South OKC and Northern parts of Cleveland county - This was Mike Reynolds seat before he was term limited out. Mike was a true conservative, hopefully this fellow will be also. 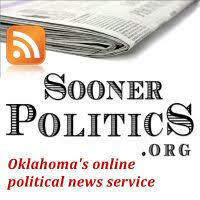 HD # 93 - MIKE CHRISTIAN - South central OKC - Mike’s conservative index score of a 65 is barely acceptable. His district is largely in a Hispanic area of the city and it will be difficult for him to continue to win this seat. HD # 95 - CHARLIE JOYNER - Midwest City area - Representative Joyner’s conservative index score of a 65 is barely worthy of support for re-election. There was a true conservative in the primary but unfortunately was not able to replace Charlie for the general election race. HD # 96 - LEWIS MOORE - East Edmond, Arcadia, Jones etc. - Lewis Moore’s conservative index score is an 80 and therefore makes him one of the more conservative lawmakers at the Capitol. More importantly he is a man of courage and as Chairman of the States Rights Committee, is providing invaluable leadership regarding nullification efforts in the legislature. HD # 97 - YOUR CHOICE - Northeast OKC - I know nothing about the Republican candidate, however, it doesn’t matter much anyway as this is a very safe Democrat seat. HD # 99 - YOUR CHOICE - Northeast OKC - The Republican Willard Linzey is just not very conservative and even though he is black, this largely black district will simply not vote for a Republican, no matter who it is or what they stand for. HD # 100 - ELISE HALL - North Bethany, Warr Acres and parts of Northwest OKC - Representative Hall has a conservative index score of an 81 which makes her the second most conservative female lawmaker at the Capitol. She is certainly deserving of re-election. You may or may not have local district judges on your ballot next. That is too difficult for me to search out the many judges across the state as I have way too much on my plate already. However, with that said, I will still make these 2 recommendations for the Oklahoma County district Judge races. If you see Tom Prince on the ballot please VOTE for TOM. His District mostly covers the Edmond area. Also, I strongly urge VOTING for DONALD DEASON. The boundaries are Waterloo Road to the north, the Oklahoma county line to the west, southwest 89th to the south then May avenue approximately serves as the eastern boundary. You may also have either a District 1 or District 3 County Commissioner race at this place on your ballots. I will recommend only 2 of these candidates. OKLAHOMA COUNTY - I strongly urge VOTING FOR - DAREN WARD - This district includes the northeastern part of Oklahoma county such as Arcadia, Luther, Jones and then a swath west through central OKC along northwest 16th street? Daren has been a successful businessman, is currently in the construction business and is a huge fan of Commissioner Brian Maugn’s Shine Program. The Democrat opponent has never warmed up to the shine program even though it gives judges a sentencing avenue for minor offenders to do effective and valuable community service as well as provide positive projects for many civic clubs and scouting groups. Daren is far and away more conservative than the Democrat incumbent. CANADIAN COUNTY - I strongly urge VOTING FOR - MARC HADAR - I believe this district is mostly the northern part of Canadian county. Marc worked for Stan Inman in Oklahoma county and gained valuable insight into the responsibilities for the job of a county commissioner. He currently works for an engineering firm which does work on roads and bridges and therefore simply adds to his qualifications. He is a true conservative and will make a fantastic Commissioner.